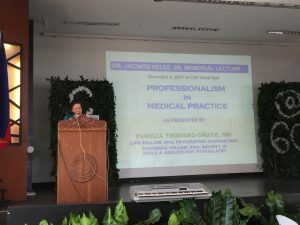 The Dr. Jacinto Velez Sr. Memorial Lecture is a yearly lecture given on the birthdate of the founder, December 6, 1902. The memorial lecture is given by a prominent personality in the society, either local, national or international scene, chosen on the basis of making great strides and contributions to the community in the fields of education, medical education, justice, religion and even in politics. 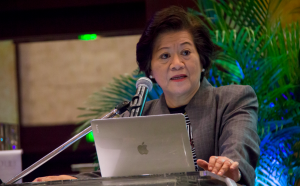 The Memorial Lecture is an annual venue to pay tribute to the Founder of Cebu Institute of Medicine with the purpose of renewing and keeping alive the cherished ideals held by Dr. Velez Sr. which includes Education, Charity and Community outreach, Humility, Professionalism and Justice among others. 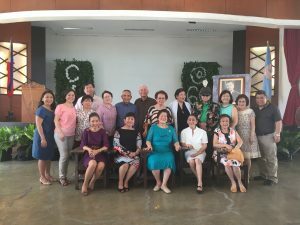 Religious personalities include Dr. Eva Fidela C. Maamo (a 1997 Ramon Magsaysay Awardee for Community Leadership and Most Outstanding CIM Alumni Awardee – MOCA 1996), SPC, Rev. Fr. Ernesto Javier, SJ, Rev. Fr. Roderick Salazar, SVD, Fr. Fidel Orendain, SDB, and Dr. Alberto Paurom (MOCA), SJ; prominent clinician-educators such as Dr. Milagros Chan (MOCA), Dr. Camilo Roa (MOCA) and Dr. Walfrido Sumpaico, community mobilizers and staunch advocates of preventive medicine, education and professionalism like Dr. Zorayda Leopando’, Dr. Tomas Fernandez (MOCA) and Dr. Florentino Solon, and also those from the field of poilitics and justice like Mayors Tomas R. Osmena and Ronald Duterte, and Atty Bu Castro. 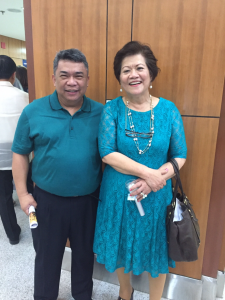 These are just among the many past Annual Dr. Jacinto Memorial Lecturers CIM has had.